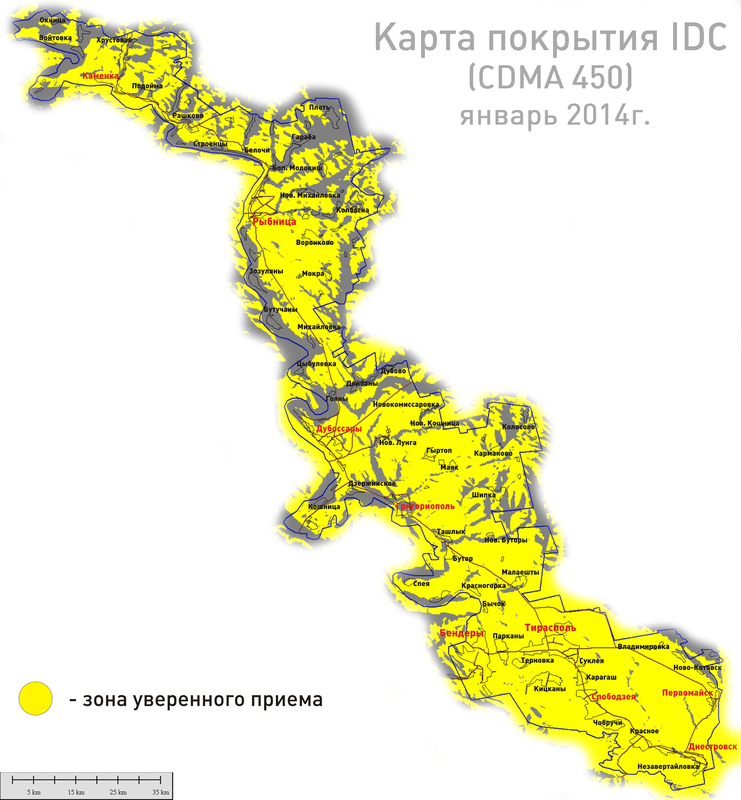 The service area of IDC's subscribers - is the whole territory of Transnistria and bordering regions of neighboring countries. Constantly evolving, we are expanding our network, providing more and more coverage. Whole area of IDC's cellular network can be regarded as a locality where there are no problems paying long-distance negotiation. 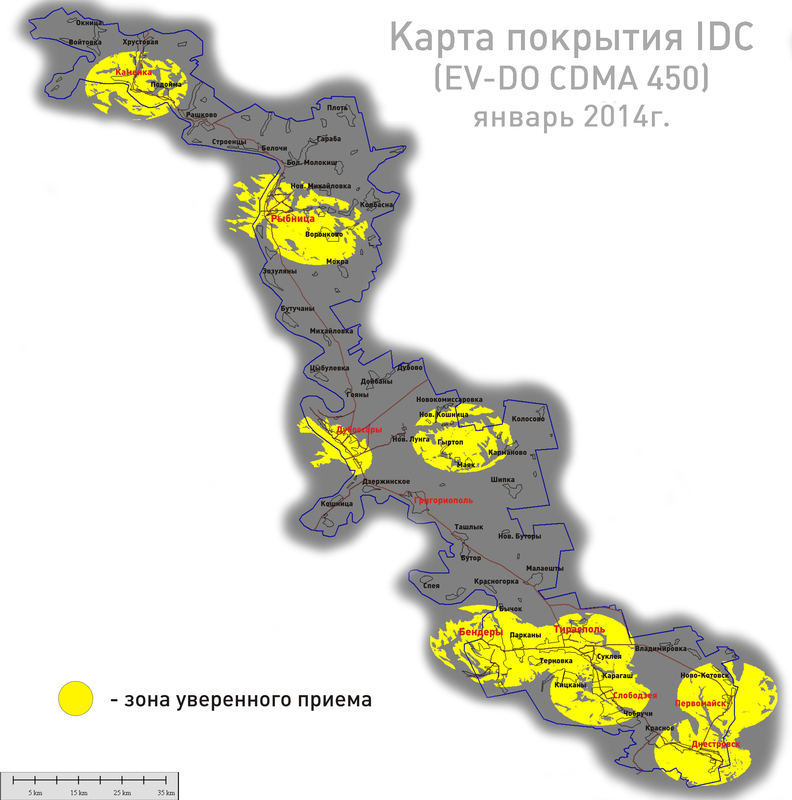 This means, for example, that a subscriber of IDC, who lives in Bendery, making calls all over Transnistria, does not pay for them as a long distance.